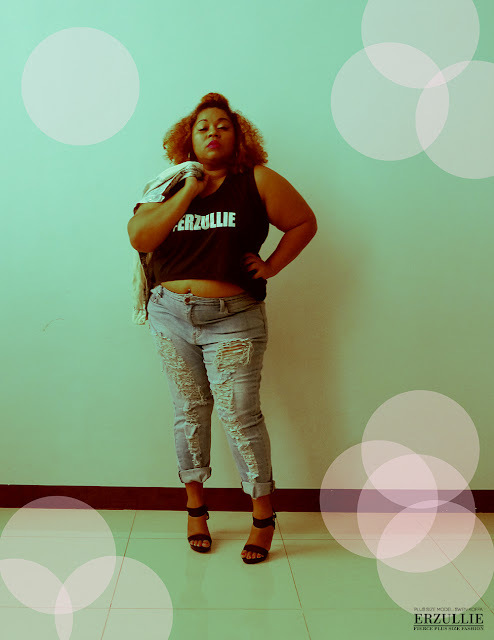 PLUS SIZE MODEL: SWEN KOFFA | RISE, SISTER! RISE! Another sister has survived #TNEI2017! 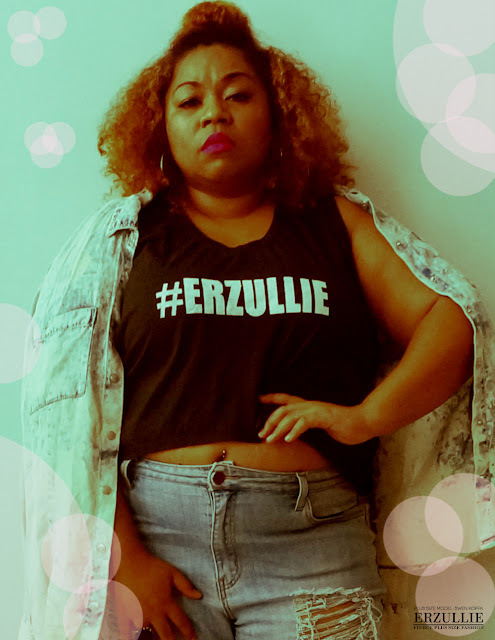 Here we present to you Erzullie Icon and Plus Size Model Swen Koffa. 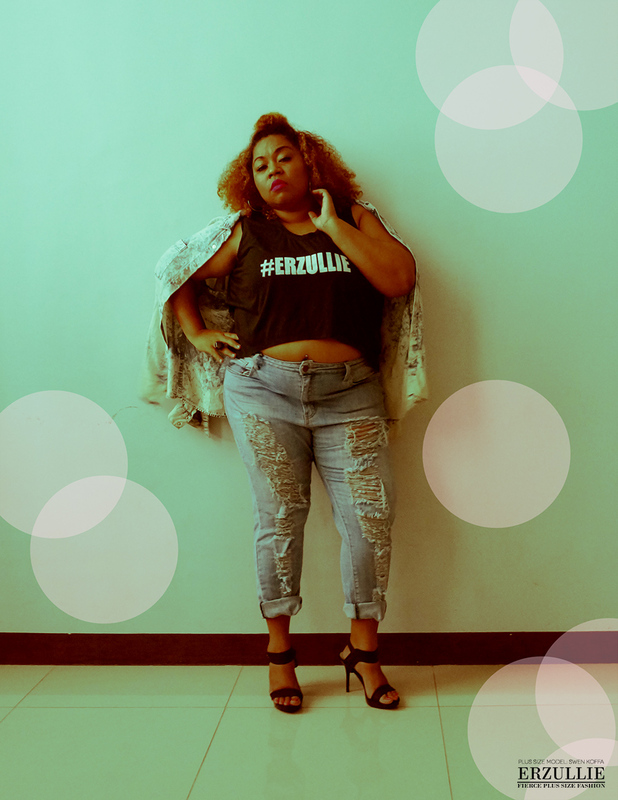 She shares her journey as a fierce plus size woman and what she plans to do with her new found purpose. And what can we say? It is time for this sister to rise above her former self! #1 CONGRATULATIONS! YOU ARE NOW AN ERZULLIE ICON! HOW DO YOU FEEL? WHY SO? Those were the thoughts in my head. It was like too good to be true for me. I was telling myself that I was not worthy of this, I didn’t deserve to be an Icon. My batch was very competitive and very loving, crazy, supportive and would always look out for each other. As much as I wanted to, I really wanted all of us to make it in. That would be AWESOME! We all had different styles, attitudes and characteristics. But Miss Aries did advise us that it would either be 1 Icon, all of us or none at all. It was a great privilege working with these strong independent women and I am much honored to have met them and spent time and craziness with them. I don’t have sisters so being with them made me feel like I had baby sisters and an older sister that I would protect from the B.S-ness of the world. I look forward to seeing them again. We have been planning a Coffee date. On being an Icon, I feel pressured, honestly. There are a lot of hungry minds to feed. Asking for more. It will help me learn and put what I have learned into action. I am excited too. Meeting the other Icons, meeting other plus size women from the different corners of the world and showing them that we are beautiful! We are smart and we are women with power. The power to change the mindset of the world. Being plus size isn’t bad just like being skinny. There is nothing wrong with your body size as long as you aint stepping on someone else’s shoes and you aint bitching around with other people. #2 How did you find out about Erzullie? That is a very good question! It all started with me searching for corporate plus size dresses on Facebook. No luck. I didn’t really trust these online sellers on Facebook. I then tried searching on Instagram. I was new on the App so I wasn’t sure what I was doing at first until I was getting used to it. 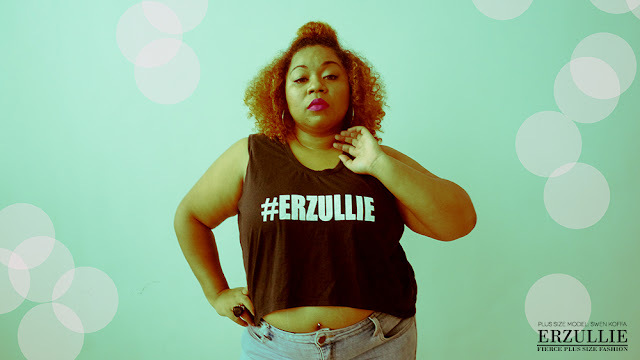 I was searching and found a photo with Erzullie tagged on it. I don’t really remember who it was that I saw the tag but I clearly remember telling myself “This looks good!” So I tried to search for them and found out that it was a local brand selling online. Since I was not that familiar with Instagram I searched for them using Google and went to their website. I found out that they had been selling clothes for some time now and the models are like me! Lol Of course, plus size! DUH! So I browsed and saw that they had an awesome look book, models were out of the ordinary. I was inspired because their shots were very interesting. Not the typical glam shots we would see every day. They were unconventional and unique. They were realistic and very intricate. Their photos were telling me “This is who I am”, “You don’t get to mess with me”. I am very protective of my loved ones and those I work with. So I felt like I was a part of this group. The message was loud and clear. “This is me. Take it or leave it!” We don’t get to please everyone, what is important is accepting who we are, respecting others for their differences and living life to the fullest without stepping on someone. I signed up back in January 2017? As I remember. I wanted to get their updates, where and when they will be selling their clothing. I was not really familiar with Eastwood or any place around it. LOL. I remember interchanging that with Rockwell. LOL. As I was browsing I felt like I wanted to do an OOTD. So they had one for May, I finally had some money to do it. Yey! Then I felt like I wanted to take more photographs. The people who were surrounding me were all very accommodating and nice to me. Like I wanted to stay longer and have a little chat but I was too shy and tired since I just came from work. I felt so alive! Like I met the missing part of my life. I felt shy at first. I came from work, tired and it was my first time to take photos of myself wearing high heels. It killed my feet but the photos were awesome! I keep saying awesome because it really was! Haha! It made me feel better about myself, like I have a group of beautiful women that I can stand together with. #3 Why did you enter #TNEI2017? I joined TNEI2017 because back in my younger days I felt like I was not appreciated or accepted. I felt I was so different and no one would like me. As I grew older I learned that life is short. People will either accept you or hate you. So why pry on this small Issues when there are better things to put your attention too? I see and have talked to plus size women who look so down on themselves because they are too shy to come out and flaunt it! Well, this TNEI2017 will be the best opportunity for me to talk and ask others to join this party! It’s really not something new but it is something that needs attention and time. There are a lot of people who take this beautiful body for granted, without thinking of how precious life is. We only live once. I learned that people will always have something to say about you even if you are nice or not nice. So why live a life of limitations? Why should you allow yourself to be bothered by what other people would think towards you? I used to live in the shadows. I used to treat myself like trash. But now? No. I am an African Queen. As a part of the Erzullie Family and an Icon, I will bring more color, diversity, strength and love. The Support each person gives to the other, the love and importance. I love how they interact with each other and I am very thankful for being a part of this family. I represent the misunderstood. Those who are hiding in the shadows, those who used to dwell in negativity, those who were scared of their color. I used to feel un-pretty because of the stereotype understanding of being beautiful. I never really saw myself being beautiful until that one day that I met a wonderful person who showed me how big the world is. Who showed me how beautiful life is. Who showed me that loving yourself is the most important thing in the world. #4 How did you feel about the #TNE2017 GO SEE? Why so? I felt challenged but excited too. I just wanted to speak my mind out and let the other co-models know that I am true to myself and this is who I am. I have lived a life in the shadows before, yes. I thought of even killing myself because I felt like an outcast. And this #TNEI2017 can help us all reach out to those who live in the shadows. You might say that pictures are just pictures. No, they are not. They speak and if it reaches the right people we can change their mindset and tell them how beautiful life is! #5 What is your TOP 3 ADVICE for the future models joining #TNEI2017? Why so? Rules are a part of our daily living so it should not be that hard to follow them. Love your craft? Why would you want to join if you do not have passion or a drive or even a dream? You need to have a message to the world. Why are you here? What do you want to do? And lastly. To love yourself. If you do not love yourself then you do not know that you are beautiful. You do not know who you are and where you are from. If you do not love yourself then how do you expect to inflict love to the world? Hence defeats the purpose of joining. #6 Did you immediately think that you will get the Iconship? Why or why not? No, but I thought we would all get it! I thought we all deserved it because we all did pretty well in following instructions. We would help each other out if one was I need of something. But of course there was something at the back of your head telling you that you don’t deserve it. I thought maybe it wouldn’t really be the right time for me and that I would better luck next time. If I didn’t make it I would still try until I would because I really wanted to reach out to the world. To all other plus size women in the shadows. We are beautiful! I used to be in that shoe. But I left that shoe and tried a different one. If I was able to do it then you can too! #7 When you found out that you were selected for the Trial Modeling Project, what were your thoughts and reactions? Why so? I felt awesome! It is my first time to be in a Trial Modeling Project. I am used to deadlines because of work but I was not used to posing in front of a camera in the middle of nowhere taking a photo and not minding the people that are passing by. It was also a very good experience. I would learn to apply make-up on my face, dress and pose well and learn to interact through social-media. Well, the hashtags were something I was new at. I was like… What are Hashtags!? Lol. I finally found out. It is a good marketing scheme. #8 If you were not chosen, who do you think should be one? Choose one only and why so? I think it would be Mommy Corine. She can pose very well and she is as pretty as all us girls too. She represents women her age and that is a big thing too! She is nice, kind-hearted and is beautiful inside and outside. She might be a silent type of person but when we get together she starts to crack-up. She is a beautiful person and I love her for being herself. #9 You were born in a mixed race family. Did it shape your perception as a plus size woman? Why or why not? Yes, it shaped me. I learned to accept who I was and accept the things and people that surrounded me. Born black made me strong. I learned to fight for what I know I deserve. I learned to step out of the shadows. I learned to love myself by accepting who I am and what I am. Growing up with a foreign parent was tough. People would call us names because our Father is black. I used to cry everyday wishing I was dead. But my father taught me to be strong. He wouldn’t tolerate me crying. He would even get angry seeing me crying. He made me the strong woman I am today. To always stand on your own and to not let anyone treat you less, to let no one stand on. He is the source of my strength. My knight in shining armor and I truly miss him. People made a mockery out of me. Called me names. Most famous would be calling me “Negra”. My skin color was too obvious. Skin color plus size? I wanted to die. I was the biggest kid in class and the one with the darkest color too. I didn’t have friends that were real and I didn’t have people I could run too for help. Until I met a girl who changed my life. She made me feel that life is beautiful and that the life is an adventure. She taught me to love myself above all things. She opened my eyes and that was the time I realized that my parents were right. I was too negative to accept and understand that there are other beautiful things in life that we should look at. #10 Who is your favorite Erzullie Icon so far and why? My favorite Erzullie Icon is Ms. Chezka. The first time I met her I felt like I was light as a feather. She is very bubbly and fun to be with. I feel like she is my baby sister. I don’t have a sister. Being around her makes me feel like I am floating. She smiles all the time, sweet and accommodating. I would love to spend time with her and bond. Go out and have coffee. She is indeed an Erzulliesta because she is beautiful inside and outside. #11 What do you expect will happen to your Erzullie Iconship? Why so? I expect a lot of things. Exciting possess, bonding with the Erzullie Icons, sisterhood!!! And a lot of love. I am excited to do a photo shoot that will bring out a message to the world. A picture that will tell them… I want to be like her, I want to meet her, I want to know her. I want to know who they are, what they do... To know who my Erzullie family is. #12 What is your advocacy as an Erzullie Icon? Why so? I will use my influence to fight body shaming and Racism. Growing up with an African Father was a tough one. I was already a plus size when I was a kid so at a very young age I was already called different names. Negra, panget, mataba and Joe were a few of the names I recall they would call me. As I grew up I became more conscious of my size. I would not go to my mom’s office gathering or even just to go out when my Mom asked me to buy something from the Market. I was all of the time angry because I would wear clothing that I did not like because it would make me look fat or it would make me look like I have a darker complexion. There are a lot of people making fun of kids with color or kids with bigger sizes than normal. This will affect their way of thinking, as they grow. I speak from experience. I am lucky because I have a loving Family and loving friends that helped me in overcoming this. I believe that there is only one Race and that is the Human Race. Whatever color you have or whatever your size is. Let’s fight body shaming and racism. That is why, to my dear Erzulliesta sisters! I entice you to join me in this crusade of inflicting love to the world. Stop thinking you are less because of the color of your skin or the number on that waist line! Stop hiding in the shadows! Flaws will always be there and they will not make you less of a person. Accept these things because it is real and these things make you who you are. We were created uniquely in our own way. You are beautiful. You might not know it yet but yes, you are. Stay beautiful. Stay confidently beautiful. Flaunt it!